Recently, Afghanistan has increasingly worried its Central Asian neighbors, and not only them. Although since the beginning of the war, the US invasion in Afghanistan, it passed 17 years, but the situation in the country is still in unrest. The United States announced the completion of the military operation in 2014, but still retains its military contingent in the country. Since then, the Americans have reduced and increased the presence of their military. Today in Afghanistan there are officially 15 thousand American soldiers. The local government comprises about 300 thousand soldiers. Despite the long years of the war and the presence of military and equipment, the colonialists in the person of the United States failed to defeat the Taliban and suppress the morale of the Mujahideen. The Taliban still retain their positions in the north and do not give rest to local authorities and the colonialists who attacked the country from the West. But what real threat comes from the Taliban and threatens the Central Asian countries? About what kind of threat does the Deputy Prime Minister Z. Razakov say in his statement: “the terrorist threat to our country, coming from Afghanistan”, and who are they “members of international terrorist organizations”??? So far, the Taliban have not freed Afghanistan from the colonialists and their servants at the head of the country’s government, they hardly decide to conquer the Central Asian countries or destabilize the situation there, especially Kyrgyzstan, which does not even have borders with Afghanistan. Between Afghanistan and Kyrgyzstan is Tajikistan, stuffed with Russian military and equipment. As for “terrorist threats” and “members of terrorist organizations,” as a rule, these terms are used by the disbelieving colonizers against Islam and Muslims. When such statements are made, in the first place, innocent Muslims are accused. Under these slogans, the disbelieving colonizers attack our lands in search of natural resources and easy money, and at the same time carry out the genocide of all the people, as is the case in Afghanistan, Iraq and our other lands. It turns out that the threat does not come from the Taliban, the Mujahideen, or other Muslim groups referred to in the statement. Then whom are the rulers of the Central Asian countries, and in particular those in power in Kyrgyzstan worried about? Most likely, this statement refers to the United States. The USA have big ambitions to conquer all countries and dreams of sovereign rule of the world. But today, after a protracted war in Afghanistan, of which the Americans are tired, the United States itself hardly wants to destabilize this region, which seems to be sitting on a powder keg. Today, the United States focuses on economic and political games in this region. 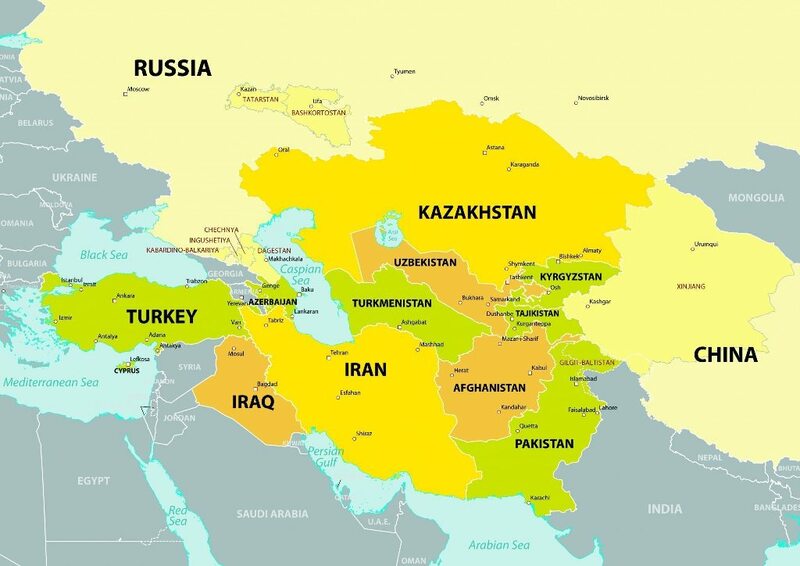 In particular, the United States has a plan called “Greater Central Asia.” As part of this plan, the United States want to “democratize” this region, as it were. The purpose of this is to separate the former Soviet republics of Central Asia from the Russian influence, to unite them in a single region with Afghanistan. The Russian Foreign Ministry Lavrov repeatedly nervously voiced this thought and accused the United States of trying to establish hegemony on economic transactions in this region in their favor. It turns out that the US ambitions do not give rest to Russia, which in turn strains the powerful in Central Asian countries, and in particular those who are at the helm of Kyrgyzstan. And the battlefield of the two colonialists, represented by the USA and Russia, is Central Asia, and in this case it is Kyrgyzstan.